Kathy Ireland is widely recognized for her appearance as a model in 13 consecutive Sports Illustrated swimsuit issues. She is also a founder of brand marketing company Kathy Ireland Worldwide which led her to be the wealthiest model. Besides modeling, she is an actress, author, and entrepreneur. Kathy Ireland was born on March 20, 1963, in Glendale, California, the daughter of John and Barbara Ireland. She grew up in Santa Barbara, California. At the age of 11, Ireland sold hand-painted rocks before landing her first paper route. She has two siblings Mary and Cynthia Ireland. 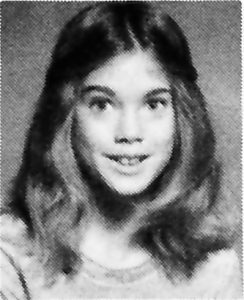 While in School in 1979, Kathy Ireland was scouted at her high school by Elite Model Management at the age of sixteen. Kathy Ireland started her career as a model and then she worked as an actress. Her early career was not o successful but later on, she turned out to be one of the most popular models. Kathy started her early career as a model and was on covers of Vogue, Cosmopolitan, Forbes, and Mademoiselle. Ireland featured in the annual Sports Illustrated Swimsuit Issue for 13 consecutive years. Ireland was the cover model on the 25th Anniversary Swimsuit Edition, which became her best-selling swimsuit issue to date. She gets an award "The Greatest Sports Illustrated Swimsuit Cover Of All Time" by its publisher in SI Swimsuit's 50th Anniversary event. Kathy Ireland is a popular actress whose performance is acclaimed and well praised. Her debut movie was released in 1988, called Allien from L.A. She rose to fame after appearing in various popular series like Melrose Place, Boy Meets The World, The Larry Sanders Show, Muppets Tonight and so on. Moreover, she is famous for her several fitness videos by launching her fitness equipment. She received award Fitness Video of The Year for a video like Total Fitness Workout, Core Workout, Advanced Sports Fitness and so on. As a businesswoman, Kathy launched the company concentrated on building its business in home products in 2003. Ireland is also a designer of wedding dresses and social occasion gowns. Ireland has branded products in many classifications including the Home, Fashion Apparel, Wedding, and much more. Since 1994, Ireland has published several fitness videos that led to her design of athletic apparel. She has written six books, including Real Solutions for Busy Moms, Mona's Favorite Words, What Do Mommies Do? and An Angel Called Hope. Kathy got married to her husband Greg Olsen in 1988 after dating each other as a boyfriend and girlfriend for few months. The couple together has three children; Erik, Lily, and Chloe. Kathy's husband, Greg Olsen is the physician. Currently, she resides with her husband and children in Southern California. The versatile personality, Kathy Ireland is ranked among America's Top 50 most successful women on the basis of her net worth. As a business woman, she has launched ventures like cell phone accessories, milion skincare, and cleaning products. She earns million dollars from wedding and honeymoon resorts. Moreover, she has collected enormous amount from her modeling and acting career. Thus as a renowned actress, model, author and entrepreneur her estimated net worth is $ 420 million.